April 2018. 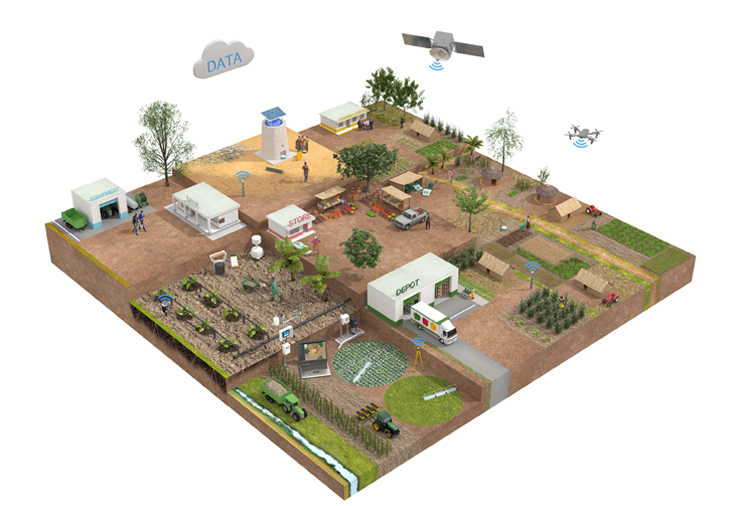 Weather Impact joins the NL-Food Security Alliance (NL-FSA); a community of mainly Dutch companies and institutions collaborating in creating tailor-made and sustainable solutions for the agri-water-food business. Food security is one of the biggest challenges for the coming years worldwide and is exacerbated by climate change. 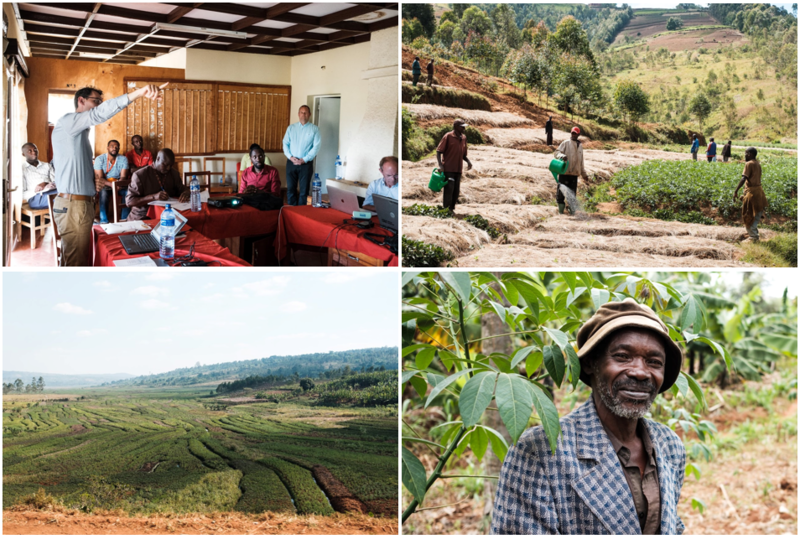 Last month, Stefan Ligtenberg and Sippora Stellingwerf visited Burundi together with partners from the GAP4All project (Good Agricultural Practices for All). One of the goals of the visit was to evaluate farmers’ opinion on the first version of the AgriCoach app. The AgriCoach app helps farmers decide on what, how and when to plant. 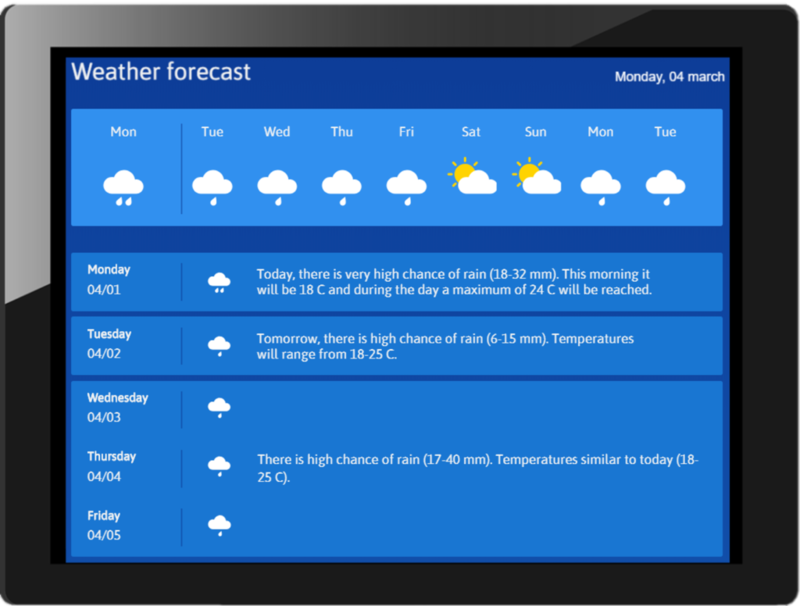 Weather Impact provides the weather forecasts in the AgriCoach app. The forecasts contain information on rainfall and temperature for up to 8 days ahead and are given in three languages: Kirundi, French and English. We visited several farmer groups across the country and learned that the weather forecasts, especially of rainfall, are well received, understood, and widely used. Using the forecasts, farmers plan their agricultural activities and protect their crops when hazardous weather is forecast. Some farmers, who occasionally hire workers, indicated that the weather forecast directly saves them money: when it rains, no work is done, but the workers have to get paid nonetheless. Using the app, they decide which days are suitable for hiring workers. Other farmers mentioned that last year, when they did not receive the forecast, they planted their maize crops too early. 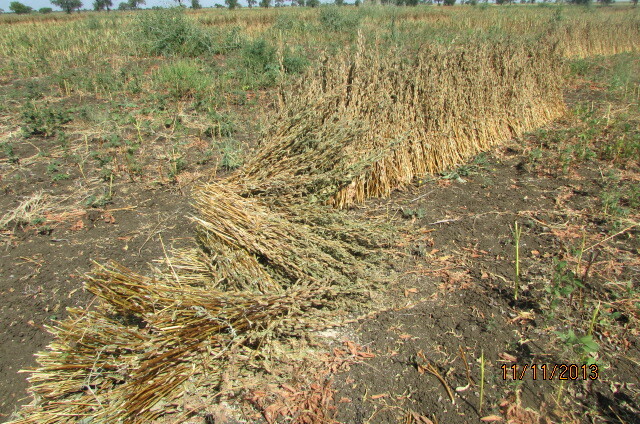 After planting it remained dry for several weeks, destroying their crops. If they would have had the AgriCoach app, they would have postponed the planting activities. Within Gap4All, we do not only give out weather forecast data, the farmers also send us data back. 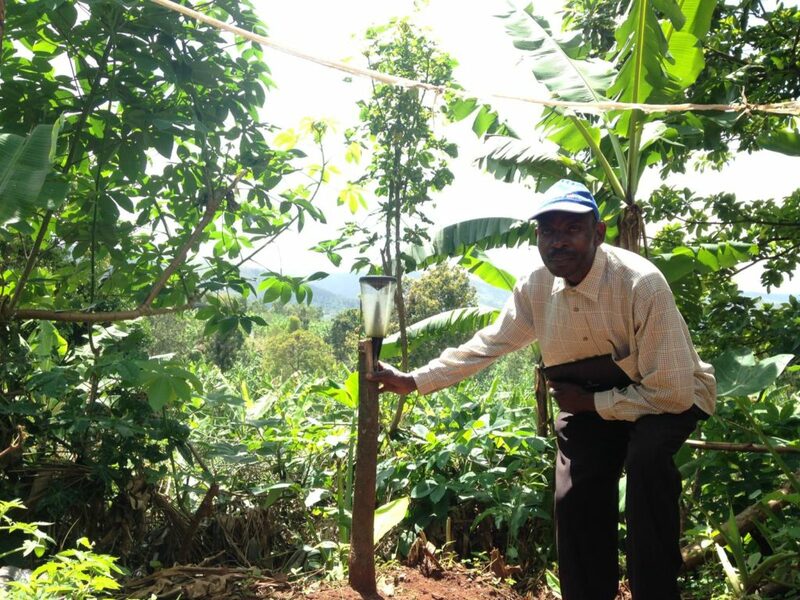 For this project we have distributed manual rain meters to 66 farmer groups. The ‘chef du rain’ of the group measures the rainfall every day at 7 AM and sends the data using the tablet. These measurements will help us to validate and further improve the rainfall forecasts. However, we learned that the measurements are also of great use to the farmers themselves. Measuring the daily rainfall helps farmers to interpret the rainfall forecast, which is given in mm’s of rain, better. Next to that, they use the rainfall measurements to check whether our forecasts were correct. Based on the suggestions of farmers we visited, we will further improve the weather forecast. In the end, our goal is that the weather forecasts improve crop yield and increase the livelihood and resilience of Burundian farmers. The Fall Armyworm (FAW, Latin: Spodoptera frugiperda) has been taunting farmers in the Americas for centuries. The FAW has over 80 different crops on its diet, but prefers maize. Just three years ago the FAW spread to West-Africa, most likely via air traffic. By today, the FAW has been reported throughout Sub-Saharan Africa and poses a huge threat to food security and the livelihood of farmers. The economic damage is estimated to be several billion USD. Unfortunately, this is not the end. Just recently the FAW has also invaded Asia: India, Myanmar, Sri Lanka, Thailand, and Yemen now have to face a new pest. The map below shows the current extent of the FAW. Which countries are next? A recent study by Early et al., 2018 investigated the world-wide climatologic suitability for the FAW. In short, the climate should neither be too cold nor too dry. The map below shows areas which are suitable for sustaining year-round FAW populations. Given how fast the FAW has spread over the African continent in the past three years, it seems likely that it will spread further into Asia and possibly even Australia or Europe. If the FAW is to spread to suitable locations in Europe, across the Mediterranean, or Morocco, we could face a similar situation as in North-America right now. There, regions in Texas and Florida are warm enough to sustain FAW populations year-round. Further up north the winters are too cold, but with the arrival of spring it gets warm enough for the FAW to migrate northwards. By the end of summer, the FAW can get as far as Canada, damaging crops along the way. Weather Impact has joined forces with Satelligence to battle the Fall Armyworm. Using a combination of weather and satellite data we are developing an early warning system for the Fall Armyworm. Right now, farmers often only notice the FAW when the damage has been done and yield loss is inevitable. Our early warning system could inform them about the risk in advance, enabling them to take preventive actions and avert harvest losses. The year 2018 was the fourth warmest year on record, with a global average surface air temperature of 14.7°C as shown by the data from Copernicus Climate Change Service (C3S). The last five years were on average 1.1°C higher than pre-industrial levels. Furthermore, the year 2018 was also the fourth costliest year since 1980 for insured losses due to natural hazards according to Munich RE. The total losses due to natural hazards were estimated at $160 billion, of which 78% had a meteorological or climatological cause. Although parts of Canada, Kazakhstan, the Antarctic and the oceans were cooler than the 1981-2010 average, most parts of the globe experienced higher surface air temperatures than in 1981-2010. In particular the Arctic, Europe, the Middle East and parts of Antarctica experienced temperatures that were more than 2°C higher than the long-term average. Together with the high temperatures, the CO2 levels have continued to rise in 2018 to an annual average column-averaged CO2 concentration of 406.7 ppm. Just after the year finished, the CO2 concentration at Mauna Loa reached a record high daily CO2 concentration of 413.45 ppm on the 12th of January 2019. Apart from the extremely high temperatures and CO2 concentrations, the year 2018 contained a large number of extreme events. Most of the events with the highest losses were weather related and occurred during the second half of the year. 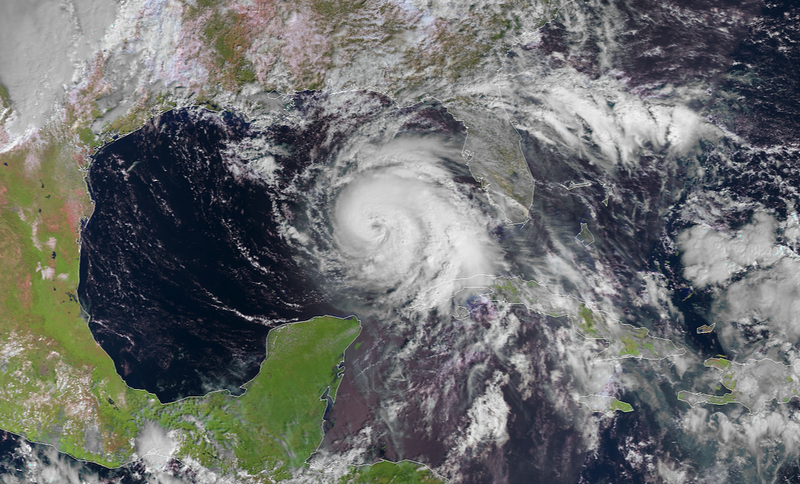 The tropical cyclones Florence, Michael (Northern America) and Jebi (Japan) are listed in the top 5 costliest natural events of last year. Other weather or climatic events that caused high losses were flood events in Nigeria and Kenya and a large hailstorm in Australia. Large parts of Europe look back at a year with drought. The northern part of Europe experienced a hot and dry summer. The southern part of the continent, however, experienced a wetter year than the 1981-2010 average. In the Netherlands, 2018 was an extreme weather year, with many records broken. It was one of the driest years ever measured in The Netherlands and the amount of sunshine hours was the second most measured since 1901. The year also accounted for the highest number of warm days (maximum temperature above 20°C) since the measurements started. After an extreme 2017, the year 2018 again ends up as a year with a lot of extremes. As the climate is changing, it is important to keep the impact as small as possible. By informing our clients about extreme weather events, they are able to take precautions and reduce the impact of such events. 2) An evaluation of user experience with a representative group of farmers and agricultural experts. The validation of the forecasts with the ground stations demonstrates that the forecasts have good skill in forecasting rainfall occurrence over the coming days. The model reaches an accuracy of 70-90% in the central highlands of Ethiopia and Rift valley. The model is a little “over-predictive”, meaning that rain is forecast a slightly more often than occurs. This result is interesting material for the experts of Weather Impact to continue improving the forecasts. Our future research will focus on the application different algorithms or bias corrections, to make the weather service even more trust-worthy for its users, especially during the onset of the rainy season. The user evaluation makes clear that rainfall forecasts are, compared to temperature and wind, the most important source of information for the farmers. All the respondents confirmed they use the information for their planning and farm management. They use the information to determine the right time of sowing, to apply fertilizer or to protect their crops. Of the interviewed farmers, 96% finds the short-term rainfall forecasts being (close to) very accurate. The majority of farmers also uses wind and temperature forecasts to plan their management practices. This was Mr. Yelale Amebachews’ experience regarding the weather forecast. Although the CommonSense project has come to and end at 31st of December 2018, the partners in this pilot are planning to continue the forecasting service over the year 2019 with funding from SBN. We would like to thank our colleagues from Sesame Business Network; Melisew Misker and Ataklti Fissha, and from National Meteorological Agency; Endeg Aniley and Hebte Tsegaye, for the report of the user-evaluation. The testimonial and figures in this blog are cited from their report. The figure in the beginning was received from SBN. Weather Impact has visited the Tanzanian Meteorological Agency (TMA) for a workshop about weather services for small scale farmers in Tanzania. The workshop took place in the scope of the Sikia project and targeted the experts in Numerical Weather Prediction at TMA. The workshop was focused on using ensemble forecasts for tailored weather forecasting and weather warnings. Fiona van der Burgt from Weather Impact introduced the concept of ensemble forecasting and how one can use ensemble forecasting models to make optimal decision support services for farmers. In a hands-on session, ensemble model output was translated by the participants to a localised weather forecast that can be send to a farmer as mobile text message. Furthermore, the workshop covered a session about public private partnerships to make sustainable weather services for specific end-users. The session included a hands-on session working with the ‘weather toolbox’ in HydroNET, a product that was developed within the G4AW-Rain4Africa project. At closure of the workshop, the ambition was formulated to verify the quality of the mobile forecasts provided to farmers registered under Sikia. The verification will be done against ground-station measurements provided by TMA and against the observations that the farmers make themselves. This will result in a quantitative and qualitative analysis of the validity of the forecasts over the area. 2. the full service, in which very specific information of the crop status in the monitored field is provided as well. Weather Impact is responsible for making an accurate weakly weather forecast message for all associated farmers. The goal of the annual partner meeting was to update all partners about the progress of the project and to plan the work for the upcoming year. 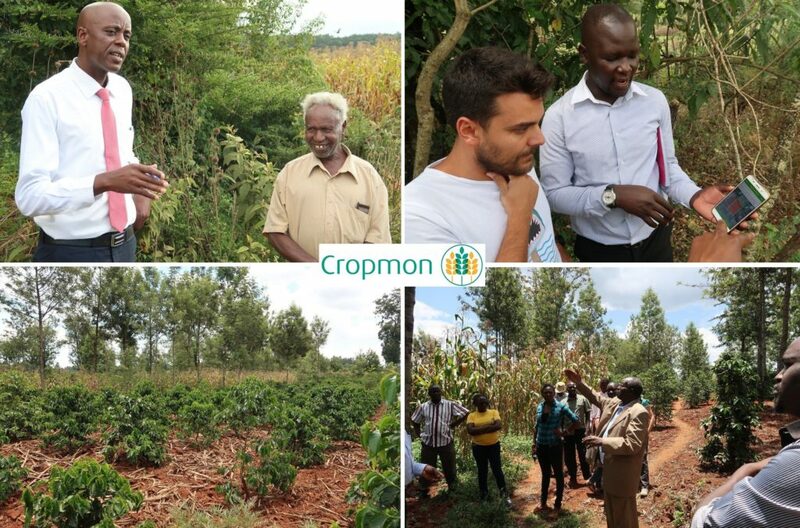 Furthermore, a couple of farm visits were done to see how the CropMon service are received in the field. Farmers were able to exchange some experiences with all partners. Farmers were very positive about the weather forecasts as it gives them the ability to plan agricultural activities such as ploughing and application of top dressing. However, the farmers would be very interested to also receive weather forecast on a longer (i.e. seasonal) time scale. With the seasonal forecasts, a farmer would for instance be able to choose a different variety of maize if a shorter rain season is forecasted. In the next year, Weather Impact will investigate the possibility to deliver these forecasts in a short and comprehensive way to the farmers. Since the project has entered the last year of the subsidy phase, a good working business plan needs to be prepared. To investigate the interest of potential stakeholders, visits were done to Equity Bank and Kibos sugar factory to explain how CropMon could help them and to discuss a possible collaboration. Part of the business plan is the growth in number of registrations . For the end of August 2019, the goal is set to have 30.000 farmers registered for the full service and 150.000 farmers registered for the basic service of CropMon. The partner meeting was an inspiring week, with a lot of testimonials from farmers that were happy to receive the CropMon services. The meeting also gave new momentum to all partners to work extra hard to improve the services and enhance the number of registrations. Let’s make it to the 150.000 registrations! 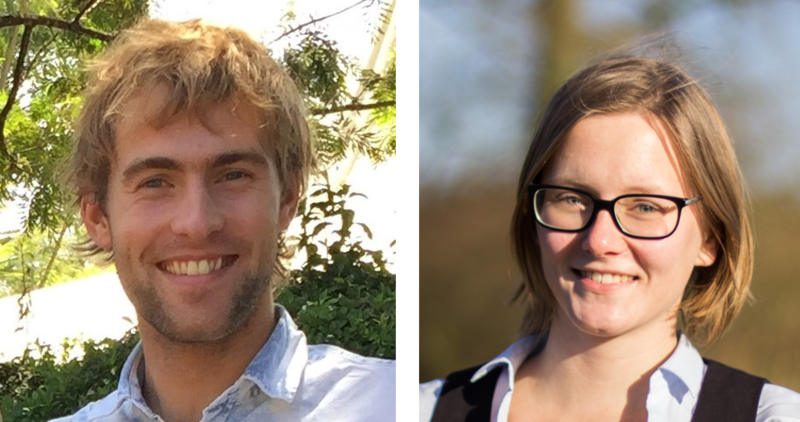 Sept 2018 – Weather Impact has welcomed two new employees in the team; Bob Ammerlaan MSc and Sippora Stellingwerf MSc. 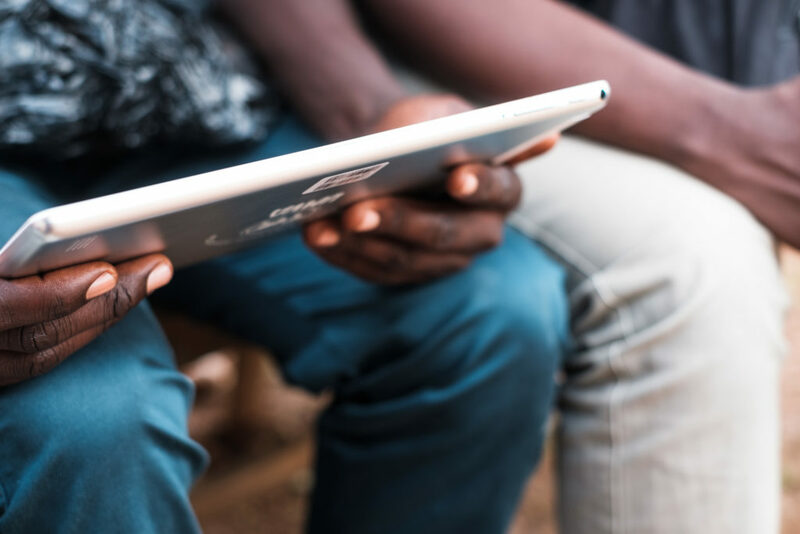 The expansion of our team will enable further growth in the delivery of weather information in our African projects and beyond. Bob Ammerlaan and Sippora have a background in climate physics and meteorology from Utrecht and Wageningen University respectively. More information about our team can be found via our company profile on LinkedIn.